The shared production of electricity and heat through cogeneration saves over 20% on the primary fuel. Cogeneration enables us to exploit the generated heat which would otherwise not be used in separate production processes. 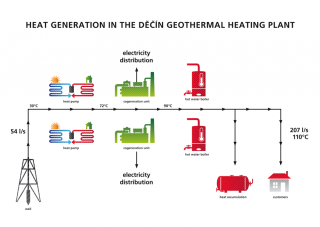 At present, due to large investment programs, we cogenerate over 50% of the total produced heat which is in turn supplied to our customers. We generate heat from a number of fuels (combustion of waste, biomass, natural gas, fuel oils and coal) and the quality of combustion, which is under continuous surveillance, contributes to environmental protection. 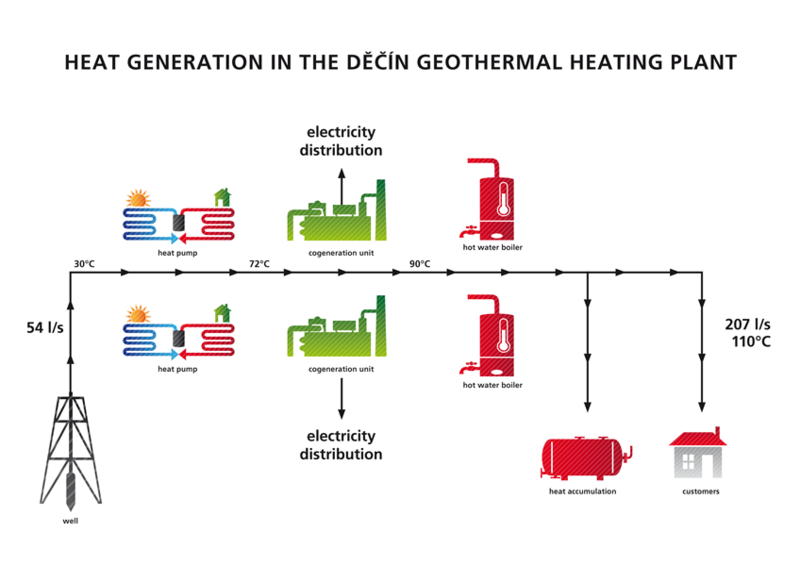 We are the only company in the Czech Republic to also use geothermal water for heat generation. Many of our heating systems are of a multi-fuel design and we can contract suitable fuels several months in advance depending on specific market benefits. Heat generation in our heating plants is continuously monitored by operators as well as by the state authorities. Our heat is safe for our customers as well as for the wider population.